The most interesting monuments in Vidrizi municipality are three - Birini, Igate and Vidrizi - historical manor centres. In Birini manor centre there has been preserved the outstanding Birini palace (1860), with Birini park and tomb of barons (1814) to be mentioned among numerous other monuments. 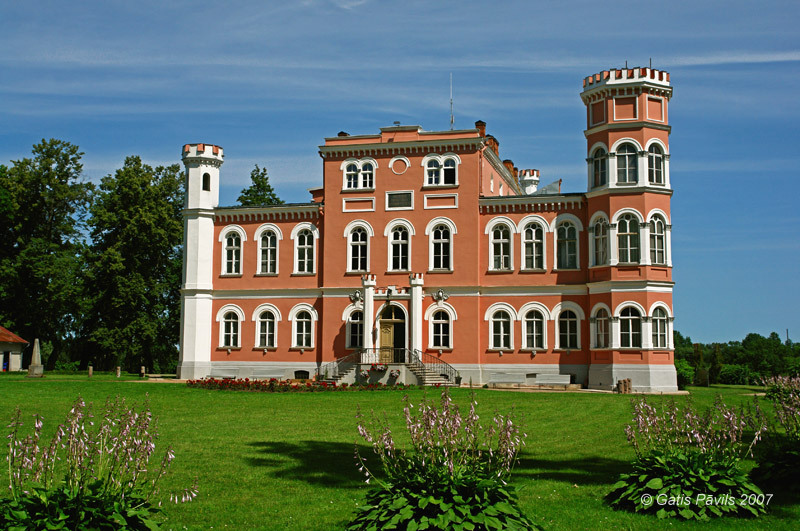 The most valuable monument in Igate manor centre is Igate palace (circa 1880). In Vidrizi manor centre there is Vidrizi manor house (1870) and the interesting, ornate wooden "Swiss house" belonging to manor complex (late 19th century). Notable monument of culture is home of composer Emilis Melngailis - Melngaili (1874). Municipality has got a Livic hillfort - Kanini hillfort, important testimonies of past are Unksi burial grounds and Ciekuri burial grounds. Interesting monuments of ancient culture are Kaki hollowed stone and Peterkalns Sacred Spring. Largest tree is Zeikas oak - girth 6,75 metres.